Readings is an independent retailer of books, music and film, with seven shops operating in Melbourne at Carlton, Doncaster, Hawthorn, Malvern, St Kilda and the State Library Victoria – as well as a speciality children’s and young adult bookshop, also in Carlton. We run a lively website, where you can get the latest news on our blog, listen to our podcast, follow us on Twitter and Facebook, and purchase a range of titles online, with a $6 delivery rate anywhere in Australia on all orders under $100. We’re pleased to offer free shipping on orders $100 and over being sent within Australia. Our shops have long been at the centre of the local literary scene, both as meeting places and via our exciting calendar of events, which showcases a range of in-conversations, panels, author signings, special in-store performances and book launches throughout the year. If you are interested in holding a book event at Readings, please refer to the frequently asked questions page here. As a cornerstone of the Australian literary landscape, Readings takes seriously its role in growing and sustaining local industries. 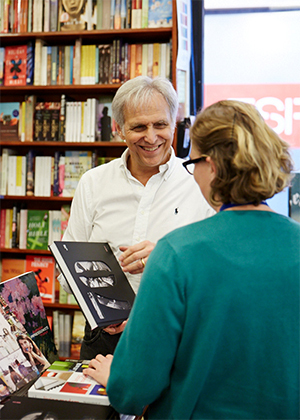 10% of our annual profits go towards The Readings Foundation, which was established by managing director Mark Rubbo in 2009 in order to support individuals and organisations wishing to further develop literacy, community and the arts. Readings also runs three annual literary prizes: The Readings Children’s Book Prize, The Readings Young Adult Book Prize and The Readings Prize for New Australian Fiction. All three literary prizes support emerging Australian authors. Every year, a shortlist of six titles is selected for each prize by a revolving panel of Readings staff. Once the shortlist has been decided, a guest judge then joins the panel to select a winner. Readings was awarded the Bookstore of the Year Award at the 2016 London Book Fair International Excellence Awards, and the Independent Book Retailer of the Year at the 2016, 2017 and 2018 Australian Book Industry Awards. For many, the staff of Readings are its most worthwhile assets – whether you’re getting recommendations from a staff member, reading a book review by us or even having a chat with Mark on the shop floor, it’s all about sharing our love of good books with those around us.